Regular readers will know that I am starting a new long term project this year. I wrote about it here. 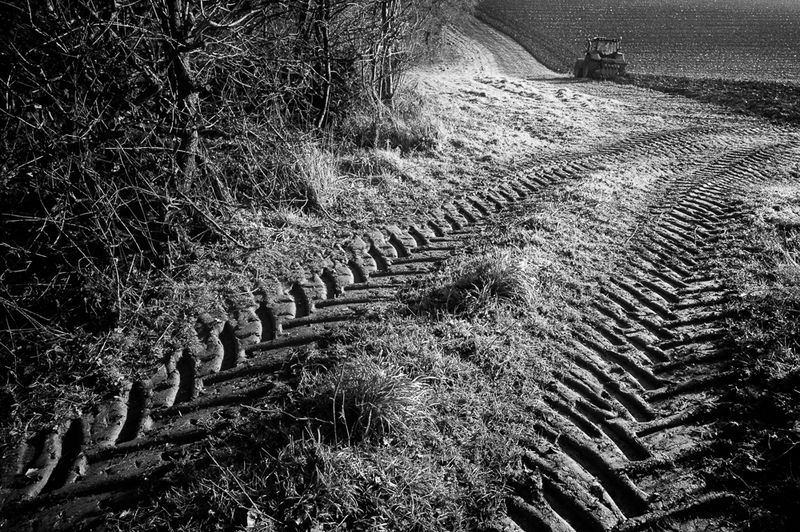 In a sentence I have defined an area of countryside to photograph which covers about 30 sq miles to the north of where I live; it’s a mix of chalk downs, farmland and woodland and includes a section of the South Downs Way. At the beginning of anything new there is a sense of excitement and anticipation. A desire to make the first image not knowing what the coming weeks and months ahead will produce. What direction will the project take as it evolves over time? Who knows, but I am aware the project will require a title at some point in the future once a clear sense of direction has been esyablished. Whilst I already have a number of ideas as to what this might be it’s far too early to commit, as conceptually it may well change as I become influenced and inspired by the varied scenery I discover. 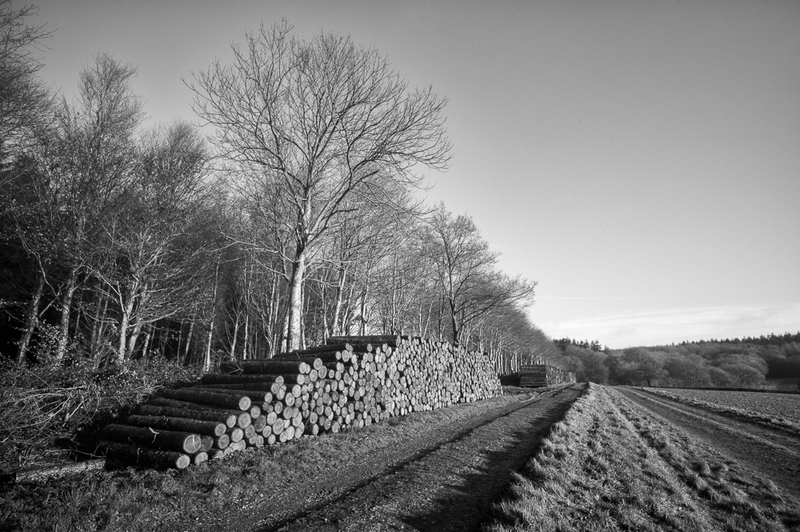 I want to immerse myself in the landscape, capture what I see, not necessarily for its beauty but because that’s how it is – an element of documenting the countryside will form part of the project. Yesterday I headed out for the first time to an area known as Colworth Down which is part of the West Dean Estate. It’s an area which is familiar to me so I had some inclination as to what I would see and the subjects I might photograph. The weather was dry and bright, if anything a little too contrasty, but this light can be an advantage as well. I work with the conditions I am given and I don’t wish for something different. Other light will come in the future. I was also keen to test out my newly acquired 18mm super wide angle lens. You can read more about it here, but I am already delighted with the creative compositions which are possible with this lens. 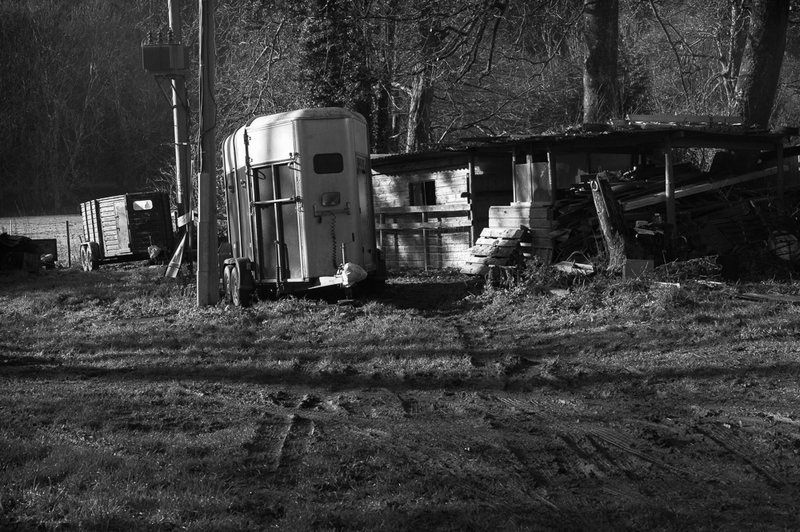 On the return journey I drove through Chilgrove and was drawn to a horse box and a rather ramshackle outbuilding . As mentioned earlier this project is less about ‘stunning landscapes’ and more about recording what I see and find attractive. These image can have their own ‘beauty’ even if your definition of ‘beautiful’ might be very different to my own way of seeing and thinking. I expect this project to last at least a year and quite possibly much longer, so this is just the beginning. As the project develops I will share my thoughts and some of the images on this blog. I hope you will find it to be as interesting and as enjoyable as I know in will. A fabulous start, Alan. Look forward to seeing your journey throughout the year. Thanks Elizabeth. I was only out for a couple of hours so I am very pleased with the results. Many more happy hours in the landscape to come. Largely self taught after many years working almost exclusively on mono images. The editing process varies according to the picture and style of image I am wanting to make. Normally some adjustments in Lightroom with further processing in Silver Efex and occasionally Photoshop. I know this isn’t a detailed response but every picture is unique and requires different treatment. No, this is fine, I was just curious. It looks like you do some dodging and burning so was just interested to know what your process was. It looks like from your blog posts you shoot with mostly Leica gear? I do as well and enjoy seeing what others do. Yes, all Leica cameras. The Monochrom being my favourite. I will dodge and burn when required but most of the time I find global adjustments are all that’s necessary. I try not to spend too much time on processing – if I do then perhaps the shot wasn’t that good in the first place! Ok. I’m not asking to copy, just genuinely interested. Quite understand. 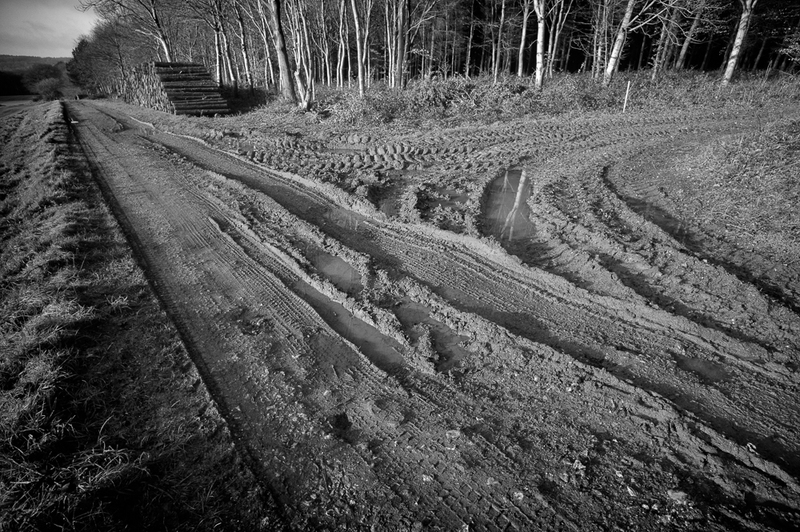 If it helps I will start by setting the black and White points in LR so I have a full tonal range. I will then adjust contrast or use the tone curve again in LR. I might apply some clarity (20 to 30 max) but rarely apply any sharpening at this stage. I don’t find the Monochrom files require very much sharpening. 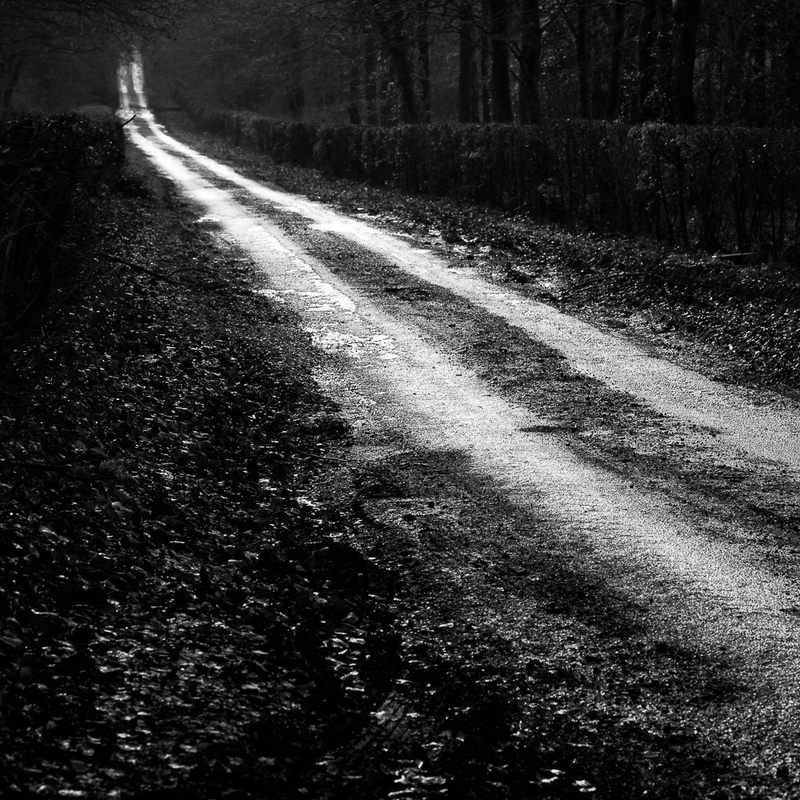 I’ll then export the image into Silver Efex and or photoshop and go from there. Hope this is of interest. Looks like a great start, Alan. Being an avid history, archeology, house restoration TV series watcher, one of the things I get most excited about is seeing the area/house (or whatever) as it was 100, 200 or even hundreds of years ago. I find the past fascinating and its only really the introduction of the photographic craft that records these changes so accurately. My recent attempt to transfer my Mother’s (30 years research) of family history onto the computer, interwoven with early black and white, or sepia, images makes the stories come alive. I’m very impressed with your new project, as I can see years down the track that many others will be able to see history come alive with your images. Good luck with your family history – I can fully empathise with your thoughts as my wife is an avid family history researcher as well. Very absorbing and insightful. Thanks for the link Alan. I don’t actually do any family research, just putting my Mother’s half-written book on the computer and trying to make head or tail of her other notes. She always wanted to write a book and passed away at 88 with it half done. Just had a look at Jame’s site. 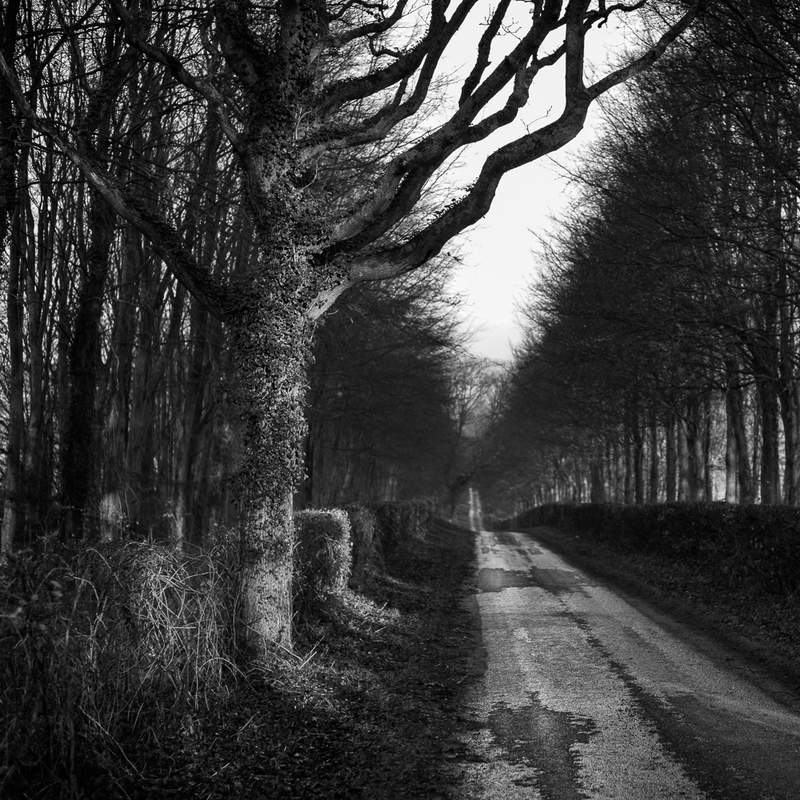 Amazing B & W. Beautiful capture of the light in fact, let alone the subjects and scenes. Now, that’s what I’d love to do. I daresay I’d have to learn a bit more about exposure and photo editing to make the best of some of my scenes OR at least get up early to capture that magical morning light and shadows. Pleased you enjoyed looking at his work Vicki. I have found it very inspiring.